Why you should work from home. 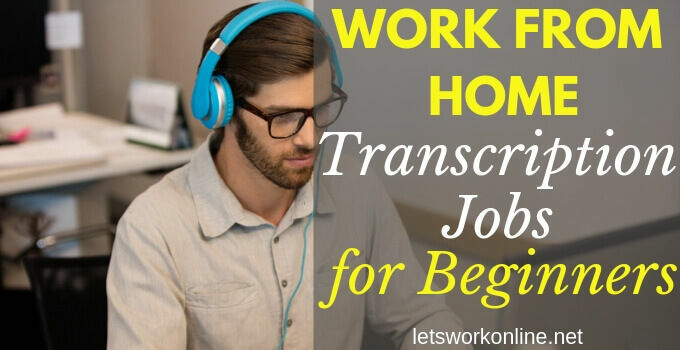 Legitimate work from home jobs and online business opportunities. Have you been contemplating the possibility of starting your own online business? Now is a great time to stop thinking about it and start taking action. Throughout history, it has probably never been easier to start your own business. How would you like to work from the beach or work from home and create a reliable income for you and your family? With the internet, this is now possible. It’s incredible how quickly things have changed in the last few years to make the online marketplace, the place to do business. With more than 3.25 billion people online and increasing daily, the potential client base is huge. But let’s not get too carried away, don’t quit your 9 to 5 job straight away, let’s see what’s involved. At the same time don’t make excuses “I don’t know how to build a website”, “I don’t understand coding” or “Where do I start?”. There are thousands of successful entrepreneurs who have asked the same questions as you, but they succeeded because they took action and you can do the same. I was like you a couple of years ago, I didn’t know the first thing about starting an online business. I joined an online training platform and learned how to build a niche website. Now I wish I had started years ago, don’t make the same mistake! Believe me, it’s not that hard, if you are willing to work and are determined, you too can build your own successful business. Is now the best time to start? There is no perfect moment, but if you keep delaying, you may end up putting it off forever. The longer you work for someone else the harder it will be to quit, or if you haven’t got a job what have you to lose? The sooner you start, the sooner you can reap the benefits of making money and working from your own home. Remember how it used to be, to set up a bricks and mortar business, huge costs for renting premises, buying stock and employing people. This usually meant taking a bank loan and going into debt for a few years, if everything went well! Today we’re lucky starting a business online costs very little. On the whole, creating and running your online business is fun, but there are times when you will wonder if you’re doing the right thing. Here are a few problems or realities of running your own business. To build your business will take lots of hard work, time and determination. Before you start earning any money it will probably be a certain time, that’s why I don’t think you should quit your job immediately. A better idea is to work on your business when you have the time and then when your online business starts to make money you can have a rethink. Being your own boss means you have to decide on everything. You are responsible for the results good or bad and you have to solve any problems that arise. You may become isolated and miss the camaraderie of your old job. Having some good support when you are having doubts can be a great help. Don’t let procrastination or distractions get the better of you. You need to have a strong self-discipline and manage your time. Running your own business, you must always try to improve, learn how to solve the next problem that arises or try new ideas. Most of the time, this is an enriching experience that gives you great satisfaction when you’ve achieved a new goal. However, we will all have moments of doubt and we will all make mistakes. Mistakes are part of the learning process, try and treat them as such. The cost is one of the first things people want to know. The costs below are a guideline for creating a business like this one, an affiliate marketing site. There are other options, for example, an e-commerce store for which you may require different software and the costs will be slightly different. A domain name – cost $10 – $13 per year. Your domain name is your online identity and is often the first impression someone will have of your business. So some thought should go into choosing your domain. Hosting – cost $7 -$20 per month. You will be building a website, so for that, you will need hosting. A keyword tool – cost $19 per month for a good keyword tool. There are cheaper alternatives but to obtain all the information you need it’s worth paying a little extra. That’s the bare minimum, however, if you are a beginner, it’s a good idea to also invest in some good training. The platform I recommend costs $49 per month or $359 per year. This includes excellent step by step training, hosting for up to 25 paid domains and 25 subdomains, a good keyword tool, and 24/7 support. Remember, earlier in the article, I said that having some good support when you need help is important, with this program you get it! The program is called Wealthy Affiliate, this is the best online training platform I have found and you have everything you need in one place. If $49 per month is too much, I understand. They do have a free option but you only receive a limited number of lessons. Nevertheless, even the free training will explain how to choose your niche, set up your website and start adding content. 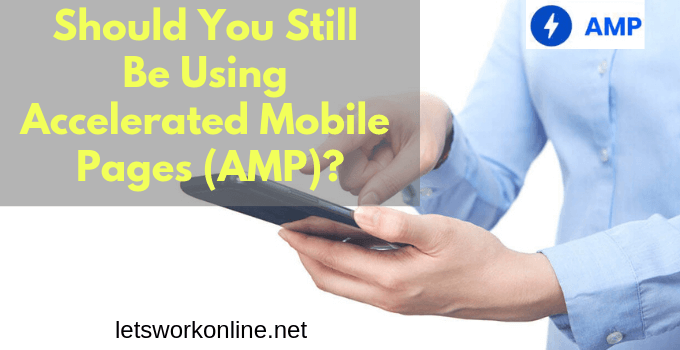 Very useful information, most of which you won’t obtain if you choose to set up your site on a traditional hosting platform. The first step is to choose your niche. Many people make the mistake of choosing a product first and a niche or market second. A niche is a group of people who are searching for something specific. This could be a group of people searching for the solution to a problem or information on a specific subject. When choosing your niche, it’s a good idea to pick a subject you are passionate about. You are going to spend hours writing content for your site and if you are interested in the topic this will be easier and more enjoyable. At the same time, it’s also a good idea to find out what’s available in terms of affiliate programs for your niche. This video gives some good tips. Once you have chosen your niche, you can select your domain name. A few tips: keep it short, avoid hyphens and numbers, make it memorable and easy to type. For the TLD, choose dot-com domains where possible, as people will often assume it’s a dot com even if it’s not. Building a site could be the part that people dread the most, but the days when you needed to know HTML code are long gone. You will see it’s now a very simple process, literally, a few clicks of your mouse and you can have your site set up. I recommend using the WordPress content management system with the SiteRubix site builder. The great advantage with the SiteRubix website builder is that you get a free trial with 2 free websites and also some free step by step training to get you started. Even if you decide to use another platform later, this training is really helpful and gives you a good insight into the first steps to take. There are other platforms that offer free sites like Wix or Weebly, but my preference is Site Rubix. If you’re thinking of starting an e-commerce site, you could add the Woocommerce plugin to a WordPress site, which is free, or try Shopify, they offer a free trial and this might be an easier solution if you are a beginner. If you want to give the SiteRubix website builder a try, just enter a domain name below and see for yourself how easy it is. Once your site is set up you can start adding content. Before writing an article you will need to carry out some keyword research, to find some keyword phrases that are related to your niche. You can then use these phrases to build content. Ideally, the keyword phrases will have low competition and enough searches to bring traffic to your site. This is why a keyword tool is necessary and the best I have found is Jaaxy, although if you join Wealthy Affiliate they do have a free keyword tool which gives excellent results. Having decided on your keywords you can start writing your content. Your content will lead to you being ranked in the search engines which in turn will lead traffic to your site and then sales or revenue. Make sure your content is written with your readers in mind, don’t fall into the trap of writing for the search engines. Always make sure your content is original, don’t copy text from another site or you will never achieve good search engine rankings. Your content could also be in the form of video. The goal is for you to establish your site as an authority in your niche. The best way to achieve this goal is to write unique, quality content on a regular basis. This can be in the form of product reviews, posts that deal with common problems in your niche or evergreen articles, these could be how to posts, lists or top tips. As you add content to your site and you obtain some good search engine rankings, you will attract visitors. 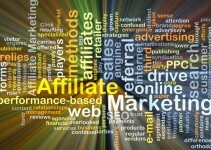 My favorite method is affiliate marketing. You can use text links or banners with your affiliate ID in your articles or reviews. These will direct your audience to the products you recommend. When they follow these links and make a purchase you earn a commission. Now, that you know how it’s done, you simply continue the same process. As an affiliate marketer, you will spend much of your time writing content, especially when you start. Later, after you begin to earn some money you may be able to outsource some of the work. 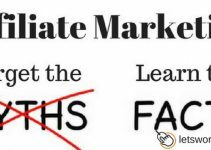 This is a time-tested strategy to start an affiliate marketing business. Hard work is required, but it is possible and very cheap. Having started a business like this, I would say anyone can do it. You must be ready to put in the work and have the determination. Although this may be a tried and tested process, many people still fail. Here are a few of the mistakes people make when they create their business. Starting more than one website. You may think you can handle having more than one website. It’s much better to concentrate on one business, at least for the first few months. Ideally, you will be writing a few posts every week, therefore, focus on one site and build something of quality. Being tempted by get rich quick schemes. Don’t believe the marketers who say they’ve found a magical system that lets you earn a fortune overnight. These don’t exist, to be successful takes time and hard work. Setting unrealistic goals. Don’t imagine you will be earning a fortune in a few weeks, this isn’t possible. If you set goals like this you will quickly become demoralized. Be realistic, if you put in the time you may see sales after a few months, however, it could be longer, there is no set rule. Problems and no support. With any business, there will always be problems that arise. You must find a way to overcome these problems, don’t become dispirited. This is why good support can be vital to answer your questions and also to give you encouragement. Giving up too soon. Success may be just around the corner, so you should never give up. If you keep going you will be successful! Are you ready to try this opportunity? I started this site after joining Wealthy Affiliate and now I wish I had tried it years earlier. If you’re contemplating starting an online business I would advise you to start sooner rather than later. You may have some apprehensions, but this is completely normal. 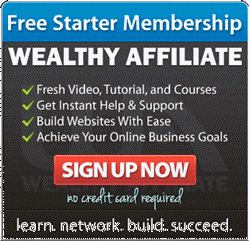 I recommend signing up for a FREE trial with Wealthy Affiliate. Then you will be able to get a good idea if this could be for you. Now is the time to start and I wish you great success online! If there’s something holding you back from starting or you have any other questions, let me know in the comments below. I'm Peter founder of Let's Work Online. I research and review online business opportunities or money making programs. I will only recommend products that I feel are legitimate and I will tell you which ones to avoid. I also share my knowledge for starting and growing an online business from one of your passions. 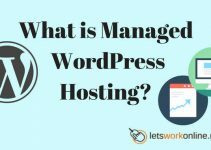 What is Managed Web Hosting? Do You Need It? Thanks for being so very informative. I am a beginner and now contemplating an online business, and this will definitely help me get started sooner. Thank you for being so helpful and honest. You’re welcome Joyce. I hope you give it a try, I was in your position a few years ago. I thought about starting for a long time and when I finally got started I really enjoyed it. Now I regret not having started sooner. Signing up for some good step by step training will be a great help. Best of luck and if I can be of any help let me know. I have to admit, the chance to build a business around one of your passions and enjoy what I do for a change is very appealing. I hate my job – there I’ve said it! I would love to be in charge of my working day for a change and direct my own path! The video you mention is a video on youtube and a very good video that would be useful to new members. The video explains affiliate marketing, warns against the get rich quick schemes and explains to be successful you have to put in a lot of time and hard work. I am sure the owners are aware of this link and fully support the contents of the video, as it can only be helpful to new members. Thanks for a good question, but rest assured Wealthy Affiliate is a spam free zone. Hey Peter I can tell you’re a very smart and organized person just by the way your write. It’s very true what you say about now being the best time to start a business, there simply isn’t any way around that, today is the best day to start living for the rest of your life. I enjoy reading your content regularly, keep up the good work! Thanks, Jose. Yes, now is definitely the best time, all the time you delay is time wasted. With my #1 recommended training program which is free to join and check out, you are taught the right way to build your online business. Knowing you have a good training platform that shows you step by step how to get started should get rid of any apprehensions many people might have. People shouldn’t think they can’t do it because it is possible and relatively easy. You need to be determined and ready to work hard for a few months, they are the main ingredients you need. Don’t be tricked into thinking making money online is easy, anyone who promises you easy quick money is trying to scam you. You’ve laid a really good plan with all the pros and cons to starting an online business. I think now is one of the best times to get started because the internet is growing so fast and more and more people are making purchases online. All’s one has to do is find a good niche they enjoy, and then get to work. With time and the intention of helping people out that share the same passion for your niche, makes it easy to connect, help, and convert sales. I started my online business a couple years ago and I’m really happy with the results. The initial work I put in is still paying me to this day. It’s true there are more and more people buying online every day, so it’s a shame not to part be of this huge market. If you can find a niche that you enjoy writing about, having an affiliate marketing business can be an awesome way of making some money. You must be willing to work and not give up after just a few months, because as you know, it is a lot of work and people shouldn’t start with the mindset that it’s easy and rapid. This isn’t true although many of the scammers we see would have us believe that. Great to hear you’re having success with your business. Glad you found the article useful. I did mention a few disadvantages, but they are mostly the same when you work for yourself online or offline. I feel the advantages largely outweigh the few disadvantages, there is nothing like being your own boss and working from your own home. I hope you grow your site into a great online business and profit from all the benefits. This is really helpful information, Peter! I don’t have a lot of experience building websites — and no experience at all in marketing — but I do have some time available at inconsistent times of the day, and I think an online business might be a good option for me. About how many hours of work do you think this would take to set up and maintain a business of this sort? Again, the way you’ve lined this out in step-by-step fashion is really very helpful. Thanks again! The great thing now is that building a site is really simple, although many people still worry about this aspect there is really no need. With an online site builder, like SiteRubix or Weebly, you can have your site online in just a few minutes. After that, it’s a question of building out your site. To do that some internet marketing training will certainly help and my#1 recommendation takes you through the process step by step. The lessons are easy to follow for a beginner and as long as you take action and don’t give up you will be successful, it’s just a question of time. If you have two or three hours a day to put into an online business that would be ideal and it sounds as this could be a good way for you to use your irregular spare time. This is a great website, its clean and everything is so informative and easy to read. Letting you customers know that if they dont start now they never will, which its true cause that was me once. Thanks to people that are honest and want to help customers into the right direction. When you talk about the advantages and disadvatages of online businesses, which are true, it’s giving the customer the right info and you are building trust. Also that the costs are low, you dont need millions to start and also you give a step by step guide, which is something that a lot of new customers need. This is website I will follow more and thanks for being honest and trustworthy. Thanks for the compliments. The sooner someone starts an online business the better. It’s easy to sit around thinking about it, but it’s much harder to actually take action. I waited too long before starting and I regret it now, so I encourage everyone to get started straight away. Being able to start a business for so little is a chance that we should take with both hands and the best thing is you can even start for nothing just to see if it’s something you will enjoy. The step by step training at Wealthy Affiliate is very easy for a beginner to follow and you proceed at your own pace. If you don’t like it or have some other problems it doesn’t matter a least you will have tried so no misgivings. So far it’s been 4 months since I started this journey. I’m not in financial constraint at the moment so it does give me the freedom to work on this. So far it’s been pretty fun and definitely this was how I wanted to settle down in the future. I just never thought this was going to happen this soon. If this does work out for me in the future, well I’m definitely glad that I have started this early. You made a good choice to get started and if you don’t have any financial constraints, this will make your work more enjoyable. If you keep working at it, you will see results in the future, don’t let the doubts get the better of you. We all have days when we want to give up, but if you keep putting out good content it’s just a question of time before you will start making sales. I wish you great success with your business. Your 9-point checklist of advantages is spot on and you did a good job in providing the disadvantages as well.It needs really hard work before seeing any results. Of course the training of Wealthy Affiliate is especially designed for beginners and it is the best in the market in a perfect balance of tools vs price and quality. Additionally I strongly agree with your advice where you suggest that newcomers should stick to only one website. Keep on blogging and Merry Christmas. I think we are very lucky to live at a time when starting your own business is so cheap. It’s a shame that many more people don’t take advantage of this. If you have a couple of hours a day this is enough time to get started. One problem many people have, is they want to see the money coming in straight away and this isn’t possible. It’s strange, when they see an internet business they think it’s easy, rapid and they can make lots of money. This is just like any other business, it takes hard work, time and the rewards will start off small and build up over time. For beginners I think it’s essential to get an education in the correct way to set up your business. As you say Wealthy Affiliate provides this and strikes a good balance with training, support and tools, all for a reasonable price. When you’re starting there is really no point starting more than one site, it’s better to do one well rather than becoming dispersed trying to do everything on a few sites. Many thanks for your comment Tasos and I wish you a great 2016! 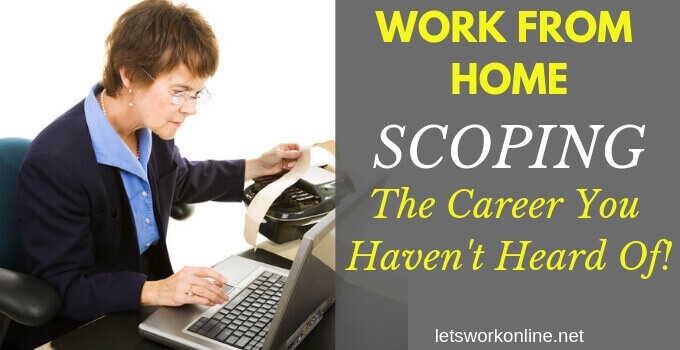 Scoping – Can You Really Earn Money As A Scopist? 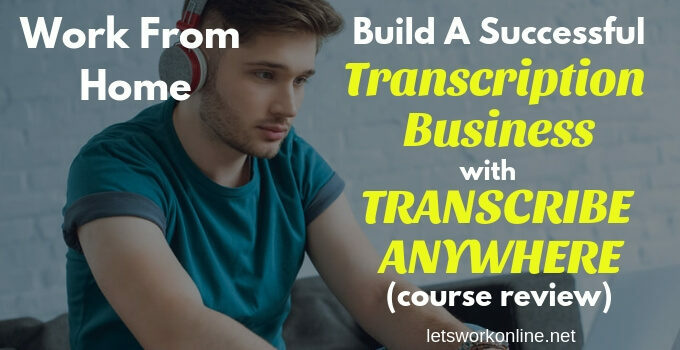 Transcribe Anywhere Review – Is This Training Program Legit? 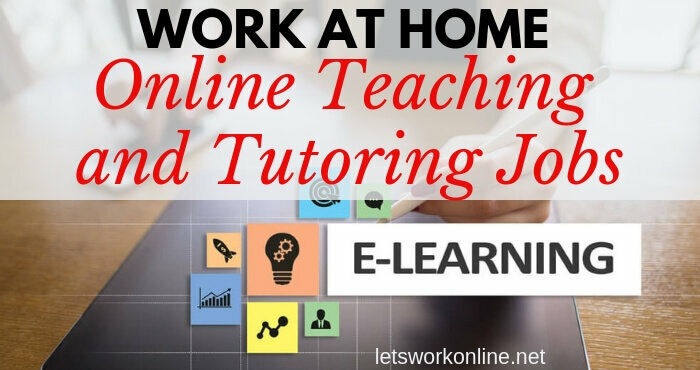 Lets Work Online. Copyright © 2019.